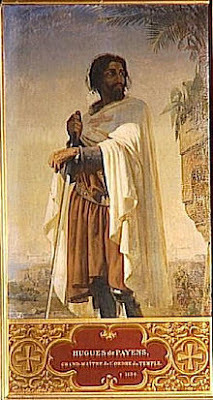 Each man who held the position of Grand Master of the Knights Templar was the supreme commander of the Poor Fellow-Soldiers of Christ and of the Temple of Solomon (also known as the Knights Templar), starting with founder Hugues de Payens in 1118. While many Grand Masters chose to hold the position for life, abdication was not unknown. Some masters chose to leave for life in monasteries or diplomacy. Grand Masters often led their knights into battle on the front line and the numerous occupational hazards of battle made some tenures very short. Each country had its own Master, and the Masters reported to the Grand Master. He oversaw all of the operations of the Order, including both the military operations in the Holy Land and eastern Europe, and the financial and business dealings in the Order's infrastructure of western Europe. The Grand Master controlled the actions of the order but he was expected to act the same way as the rest of the knights. After the Pope issued a Papal Bull on behalf of the Templars, the Grand Master was obliged to answer only to Rome. 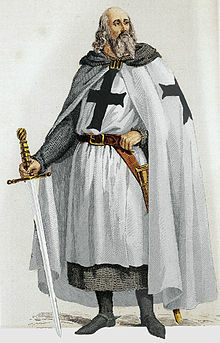 LIST OF GRAND MASTERS OF KNIGHTS TEMPLARS, 1313 to 1873. ``List of Grand Masters, from the Death of Jacques de Molay. Louis Hercules Timoleon, Due de Cosse Brissac.